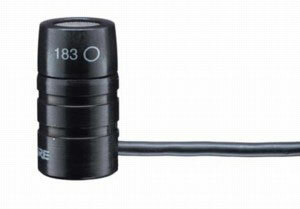 The WL183 lavalier electret condenser microphone is a cardioid mic designed for use with any of Shure's wireless microphone bodypack transmitters. The Cardioid pickup pattern is ideal for general sound reinforcement applications where good rejection of unwanted noise is needed. 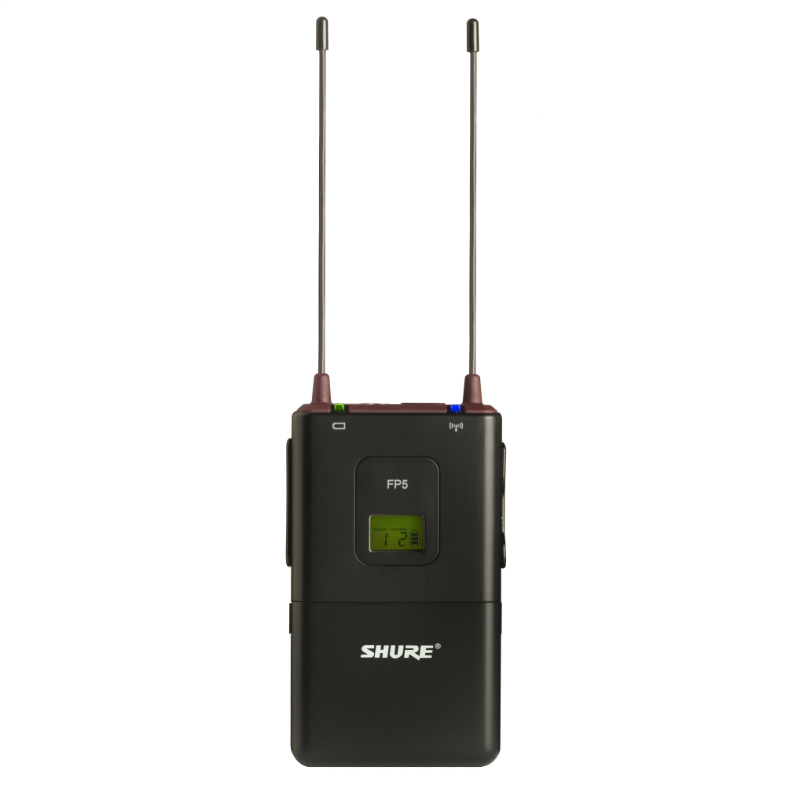 The FP5 portable receiver is what makes the FP15/83 what it is. The FP5 is designed for on-camera mounting, using the shoe-mount on most DLSR cameras and professional camcorders. The FP5 is a true diversity system, selecting the strongest signal between the two antennas at any given moment. 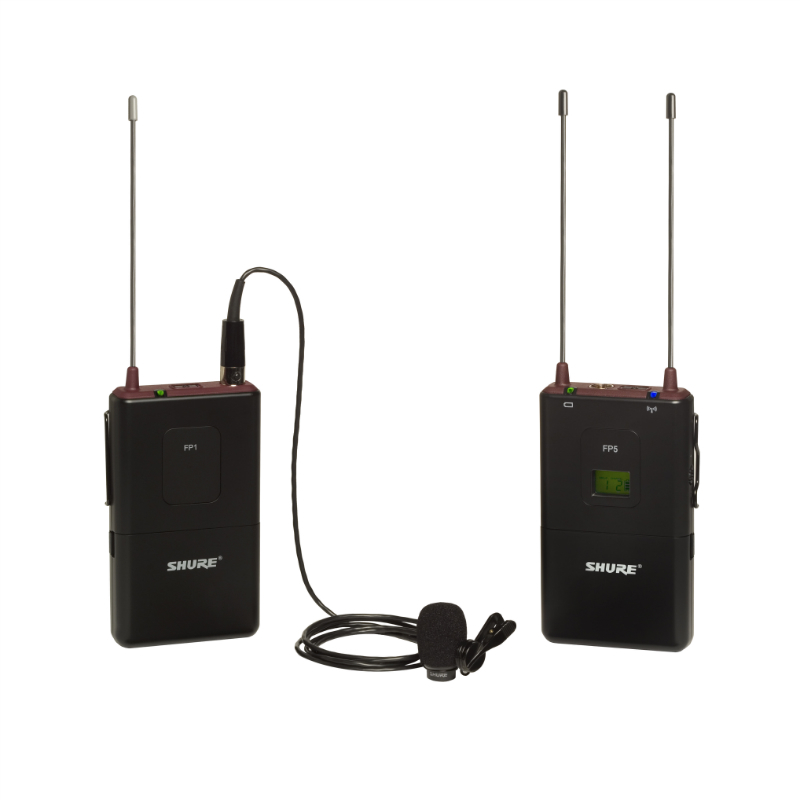 The FP5 features two LED light indicators, one for power and one for good transmitter sync. The FP5 has a TA3F output connector and comes with both a XLR and 1/8" (3.5mm) cable to connect to standard microphone inputs.